During day two of the 2018 THINC Africa conference, which recently took place in Cape Town, Radisson RED Cape Town curator, Dale Simpson navigated a conversation around what millennials expect from employers in hospitality and what employers can do to stay relevant to this segment. Joining Simpson in this focused panel discussion was Think Tank Strategy director, Gyrieyah Slemming; Once Youth Hotels managing director, Kim Whitaker; a 12 Apostles Hotel management programme participant, Siviwe De Beer; and Ecole hôtelière de Lausanne (EHL) alumni and industry relations director, Valerie De Corte. According to the Merriam-Webster Dictionary, the term millennial refers to the generation of people between the early 1980s and 1990s. Research conducted by Douglas Main of Live Science refers to a story by Time magazine, which reflects polls showing that millennials "want flexible work schedules, more 'me time' on the job, and nearly non-stop feedback and career advice from managers." Life is changing and the digital revolution with it. Millennials have become prone to finding instant gratification at the touch of their fingertips. Millennials, according to Simpson, were born into a world that they had to work with and not necessarily create. Knowledge has increased in power, as everything around the world, in our cities, is not far out of our reach. We can inform ourselves instantaneously by searching, selecting, navigating and reacting to an action and although society is moving within this new age, businesses still tend to operate in old, standardised traditions. But what do millennials make of this - of any of it? Simpson asked the panel, and the audience if we think that millennials really connect with this "standardised revolution" that brands have created. "Do millennials really want to talk the same? Dress the same? The question is, would you really want to connect with a brand that asks you to do that? From both a guest and employee point of view?" Simpson, in his role as curator at RED, does exactly what a general manager would do, however, as a curator, Simpson ensures that the space of the hotel looks and feels slightly different in terms of experience. "Experience is a very interesting word, because if you had to read some of the information on how millennials define luxury, you’d see that they define it first and foremost as an experience; there is a challenge and question in terms of our businesses and the development of luxury items and whether or not it should be experience-driven. Or should we look at the standards in a more traditional approach?" "Is it right to assume that everything should be consistent? Or is imperfection okay in our world? Do we seek a bit of imperfection – could it actually create that bit of difference? "We can copy everything in our business, but we cannot copy people. The core is to appreciate the uniqueness and the unique strengths that each one of us has – so I don’t believe that we all want to be the same." The world today is far more connected compared to 10 to 15 years ago. We travel much easier, with flights and transport becoming much more accessible across the globe; social media has also allowed us to connect with different destinations and different people – and solidifying ourselves within the experience. With connection playing an important role today, Simpson asked the panel for their thoughts on what sort of connection they think millennials want from their employers. Whitaker shared that for her, real-life experiences create connections. "I think that connection is getting on a bus together and going somewhere – planning a road trip to go bungee-jumping, for example. It doesn’t matter where you come from or what your education is, two people who come from very different backgrounds can get really excited about common things; whether it's abseiling on Table Mountain or planning a wine tasting. "It’s our job to create these experiences for our travellers and for ourselves." With reference to Aquila Safari and the connection that Once Youth Hotels created with them, Whitaker says that employees should be able to tell you how to bake bread, for example, get them to experience baking bread in the Transkei, or bungee-jumping in Swaziland and know the process of obtaining passports; these connections enable those that are at front desks to interact with and make connections with people from anywhere in the world, because of a shared understanding and passion for travel. Educating staff with this mindset is necessary, says Whitaker – that not everyone gets to experience travel and other cultures growing up and if a business could provide their staff with the opportunity to go out there and gain real-life experiences, it would set them apart from the standardised way of doing things in hospitality. "I feel millennials are born to be in tourism and I think that we can bridge that gap between lack of experience." Slemming added that experience is powerful. Coming from a human resources background, Slemming says that at Think Tank, for them, it’s about asking how one can retain people and what the succession plans are that businesses can have in place for employees. And most importantly, how employers can make the most of the time that they have with their employees. "People want to experience as much as possible over time that they are going to be working, but how are we going to add value to that experience that they have with us?" Slemming says that once you shift your mindset, you get to realise that by creating experiences, you can lengthen the period of time employees stay within your company. De Corte added that for EHL, it is about customer centricity. By enabling students to be involved in every aspect of hospitality, or even tourism, they get to experience the same problems and/or challenges that employees are facing and finding solutions to these challenges. "How you manage your client is really a turning point – we face many problems in the industry because we don’t address how to better manage our staff training." Simpson then asked De Beer for his thoughts on management programmes as he's part of one, as well as for his views on that within the life-cycle of a hotel. De Beer responded that being of support is essential. With the right support, employees will be more open to discuss their thoughts, sharing their ideas, views and opinions. De Beer, however, says that larger establishments, which have management operating for much longer, are not always open to embrace the youngsters entering the industry and that this should change. "We are not here to take your job." On the need to have an education, experience and the need to start at the bottom, with your career slowly developing, Simpson suggests that the industry reverses its thinking. De Corte advised that refreshing skills can make the difference. "If we understand the dynamic of building on the opportunity, then we can help people who have been in organisations longer to follow the same course of refreshing their skills and adapting to the needs of the market. "It’s not a question of the industry reversing its thinking on millennials, I think it’s a question of the working force as a whole." Continuing on this, Simpson asked where the industry can set the path for learning. "How do we appreciate individuals? How do employers embrace those aspects?" Whitaker says that career-path planning is something every company should do. "I think it’s crucial to build a plan that goes horizontal and vertical – where you can say, okay, this receptionist likes vintage, so why not have them run the social media? Or having a housekeeper, for example, who enjoys skateboarding – offering them the opportunity to perhaps guide a course and from there, start skateboarding tours. "That's the rate at which things are changing, and it’s careers that are perhaps not even on paper yet. 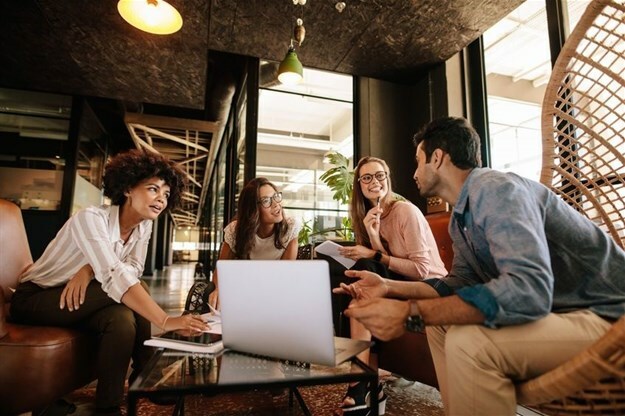 I think that that is the way of the future and if there is one thing that millennials enjoy, it's fast-paced experiences and the promise of growth – it doesn’t have to be quantum leaps, but assuring your staff that there is a path of growth." The industry needs to be agile, adds Slemming. "I think we still have a traditional approach to how our organisations are structured – a hierarchical approach to how people move from one position to the next; what does the development look like? Whereas perhaps [we should rather be] turning this on its head and asking the millennial how this needs to look." Whitaker then made reference to Fanta campaign ads and how that sort of innovation is something organisations could take into consideration, and see how it could work. 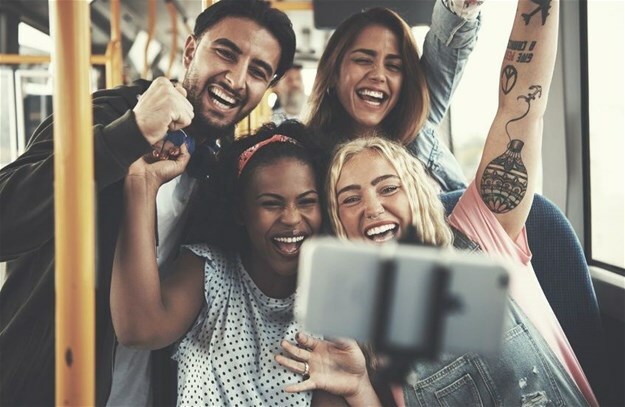 "Allow millennials to say if they like the environment – I think that appreciation of individualism, the input and the ideas coming from millennials can build on loyalty and connectedness." Expanding on loyalty as a course of proposition, Simpson asked the panel how employers have looked at their organisations' proposition model in light of employees and whether or not it has changed. "I think employers are trying to get employees to be more loyal than they used to be. It’s definitely about retaining talent, but it’s also about embracing the vision and the experience, about getting everyone on board and giving them worthwhile challenges to work on," says De Corte. With reference to the recent Nike campaigns, Simpson highlights how brands have accentuated on creating a brand image that speaks to the masses, and also bringing employees on board that match in value and believe in the same things. "When you look at your workplace, is it personal, happy? Is harmony being matched and what happens when it’s not?" De Beer shared from his own management programme experience how his own value matched with that of the 12 Apostles. "The way they embraced me was easy to settle into, to confide in those allocated as my mentors. I think from a landscape perspective, people want to grow – it's about experience. If your thinking is too futuristic, you could miss out on what you’re leaning now. I’ve noticed people wanting to associate themselves with big brands as a sense of protection. I think millennials think of their own interests first and then think of the company’s after that." In response to Simpson asking about organisational security, De Beer said that there is security in terms of growth and in terms of learning from bigger brands, but that smaller brands can afford this to their employees, too. De Corte added that it's about being aligned as a group and doing things together, facing and embracing the industry together. On whether or not it’s a question of an employer changing their mindset, Slemming says that employers need to listen to their employees, their wants and their needs and work toward keeping their employees happy, but to also ask the employee what they expect. Having your employees be part of the process is key, says Simpson. You need to ask yourself if you're creating an entrepreneurial spirit. "Do we see changes? Are we catering to the individual or are we going back to a programmatic way of doing things?" Whitaker added to this by saying: "I think if you come to work and feel there's structure that can be a good space. However, I think that in an entrepreneurial environment, millennial staff can thrive." Simpson concluded by saying that employers have a duty to prepare themselves for their employees and for the generation that will come after. "How are we enabling opportunities? How are we preparing for our people? How are we experiencing – how are we evolving and how are we planning their career paths? What are the strengths they can bring in that preparation of creating agility? "Understand individualism. Understand the personal environment. Life can help you evaluate change, the employee journey, the employer journey and the value proposition – be aware of them. If there is a disconnect, it might not be about training or performance, but a value disconnect."